Home / Archive by Category "Podcasts"
Assistant Professor of Asian Studies Uffe Bergeton talks about Ancient China and the concept of sanctioned conflict. Associate Professor of Geography Elizabeth Havice talks about her current research project on oceanic territory, as well as her earlier work on the global tuna industry. 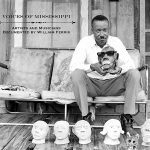 Mark Katz (Institute Director, Professor of Music) interviews Professor Emeritus William Ferris on his Grammy Award-winning boxed set “Voices of Mississippi” (Dust to Digital). You can buy the boxed set or the vinyl version through www.dust-digital.com/ferris/. 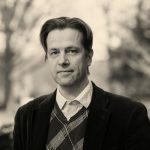 We sit down with Associate Professor of History Chad Bryant (Faculty Fellow ’19) as he discusses his current book project on Prague’s history in the 20th century. Senior Lecturer Jeannie Loeb is a current Institute for the Arts and Humanities Faculty Fellow through the Chapman Family Teaching Award at UNC-Chapel Hill. When Michele Berger is not teaching, researching and writing, she is preparing to guide faculty through their fellowships at the Institute for the Arts and Humanities. Elizabeth Engelhardt is looking closely at the history and culture of boarding houses in the U.S. South. “There is a surprising number of stories of people re-inventing themselves, passing their gender, passing their race,” she reports. 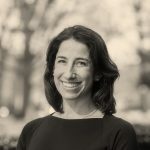 Engelhardt’s research during her current Faculty Fellowship Program begins not by defining the boarding house, but using research to tell their stories. 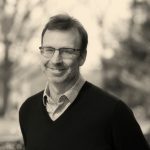 John McGowan is the 2016 recipient of the George H. Johnson Prize for Distinguished Achievement by an Institute for the Arts and Humanities Fellow.